The proper removal and disposal of garbage is important to maintain order and cleanliness in your home. Despite the awareness of problems that arise from improper rubbish disposal, there are still some people who choose to remove garbage themselves. The non-utilisation of proper waste disposal services such as mini skip bin hire in Adelaide may potentially lead to the contamination of soil with hazardous chemicals. Skip bins in Adelaide may only be used to transport and dispose of general waste materials. If you place hazardous chemicals together with normal rubbish, this can result in untimely emission of gas into the atmosphere. Health risks are also associated with improper disposal of acids into landfills. Non-compliance with the rules of disposing waste materials can pose a threat to the Adelaide water supply. If you store dangerous liquids such as acids and bleach into a mini skip hire in Adelaide, there is a chance that such liquids may leech into the ground and ultimately find their way to the local water supply. If you do not segregate your rubbish at home and simply throw them in rubbish removal bin, you are posing a great risk on your health and those of other people around you. Once your rubbish is transferred to dumpsites, hazardous waste and disease-carrying objects come into contact of workers’ skin and open wounds resulting in health problems. 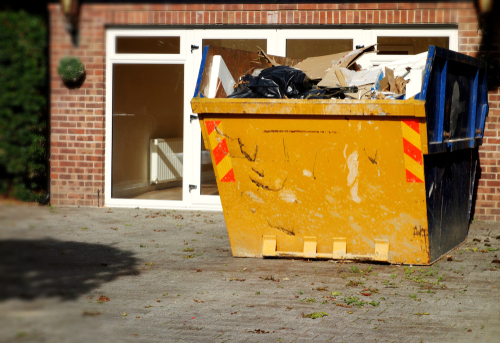 To avoid all these problems, it’s best to consult with a reliable skip bin hire in Adelaide so they can help you with proper garbage segregation and disposal. For other enquiries, you may call us on 08 8325 3033 today.